"3 billion human lives ended on August 29th, 1997. The survivors of the nuclear fire called the war Judgment Day. They lived only to face a new nightmare: the war against the machines. The computer which controlled the machines, Skynet, sent two Terminators back through time. 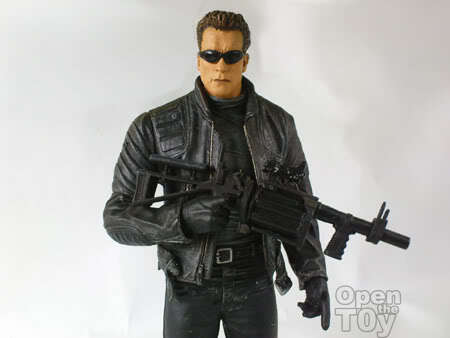 Their mission: to destroy the leader of the human resistance, John Connor, my son. 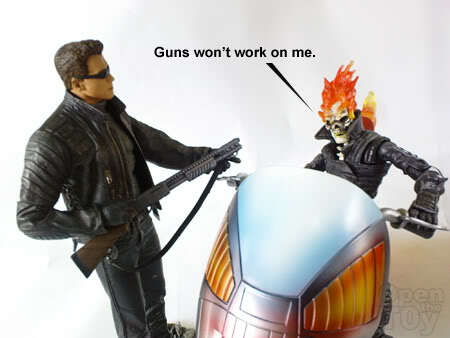 The first Terminator was programmed to strike at me in the year 1984, before John was born. It failed. The second was set to strike at John himself when he was still a child. 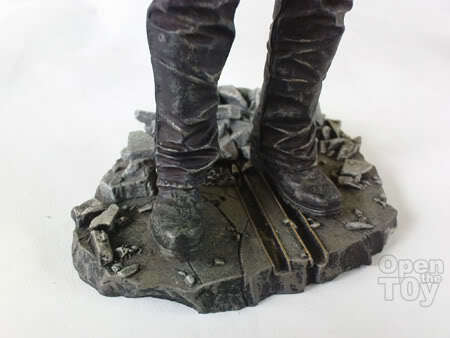 As before, the resistance was able to send a lone warrior, a protector for John. It was just a question of which one of them would reach him first. " 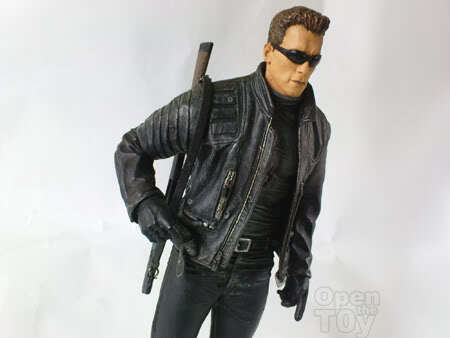 Personally, this figure successfully capture the coolest of terminator (expressionless) with good details and paint job. 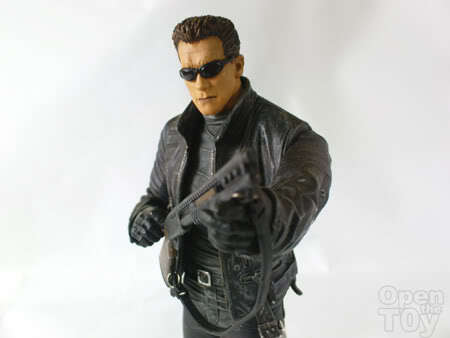 As for the likeness of Arnold Schwarzenegger, they should do a better. 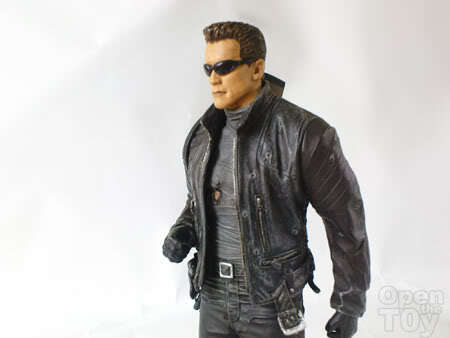 Well I shouldn't complain as this is the only T2 figure I got. 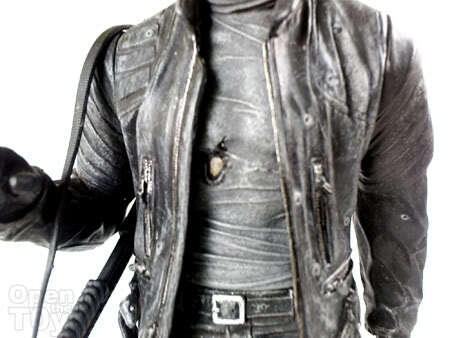 The black leather Jacket with the zippers are always in fashion. Ever wonder where they get the leather? but the shotgun is mint condition. Just look at the details. See the metal ring? 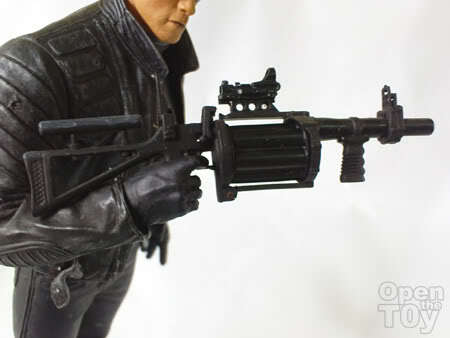 I like the way he uses the shotgun. Not to mention he always looking for clothing and vehicle to continue his objective in both T1 and T2. 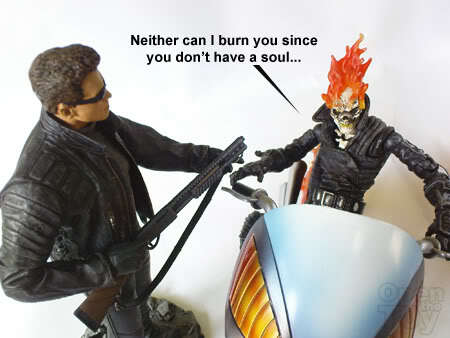 And one of the classic line in all Terminator series (even in the TV series) is none other but this. 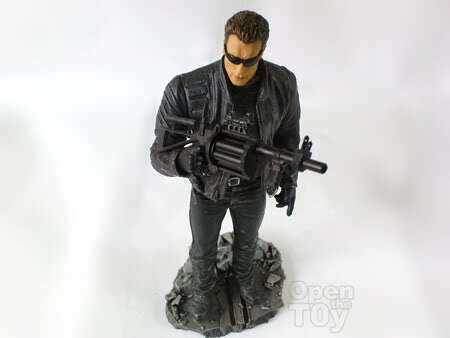 I have yet to owned a exoskeleton of the Terminator T800 yet. Hopefully I can get one affordable one soon. Since we are at the topic of Terminator, I'm going to share this gift from a close friend of mine when he visited Japan Universal Studio few years back. 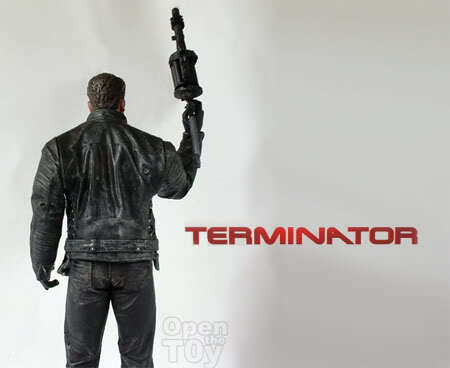 Overall I enjoy most of the Terminator franchise which also includes Fox TV series Terminator, The Sarah Connor chronicles and I hope the new Terminator movie will meet it's mark. 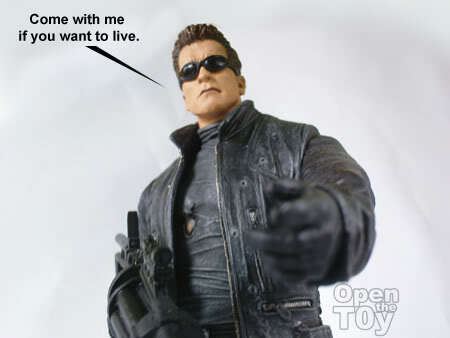 Terminator became a pop culture icon that capture most of my growing up imagination. I'm sure it is for you too. 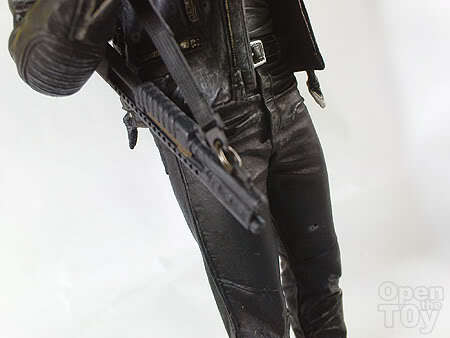 I like the skull terminator key chain too. I also won't take it out from the packaging as it looks nice in mint packaging. You are so lucky bro!! 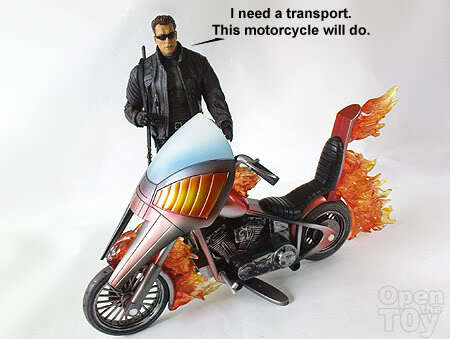 Nice cool toys related to Terminator. Yes! 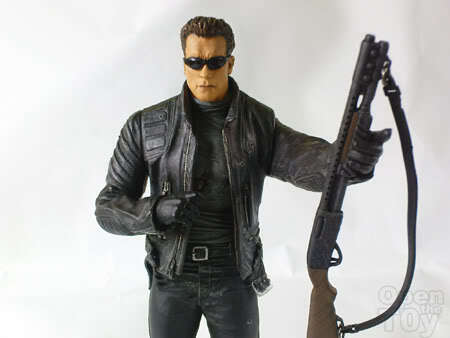 My favorite Terminator movie is still 'Judgment Day'. 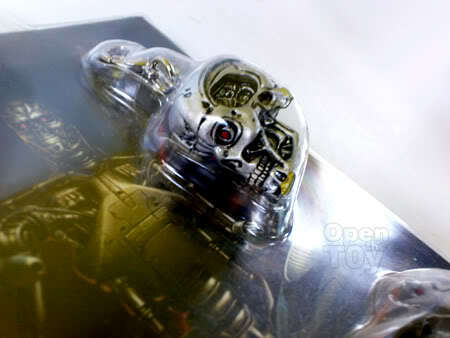 I going to watch Terminator Salvation coming Monday. It's more or a prequel. terminator salvation is awesome. i saw it i love it. 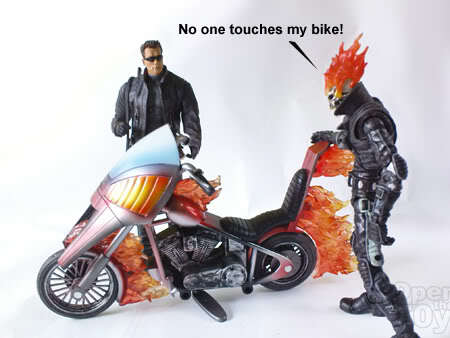 i think why many hated it cos it's not your usual terminator-chase movie. it's awesome on it's own. marcus wright is the hero. rock on.